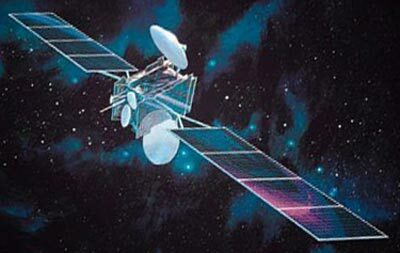 Telkom-1 is an Indonesian geostationary communications satellite operated by PT Telkomunikasi. Lockheed Martin Commercial Space Systems built the satellite for PT Telkomunikasi (TELKOM) of Indonesia to link the nation's thousands of different islands and archipelagos. The TELKOM-1 satellite replaced the existing Palapa B2R satellite which was retired later the year. TELKOM selected the A2100A to meet the growing requirements for telecommunications services. The company projects the annual increase in Indonesia's demand for services will be approximately 1.5 million telephone line units per year. TELKOM-1 supported a variety of telecommunication applications, including high-speed digital traffic compatible with Very Small Aperture Terminal applications, which allows very small satellite dishes to receive signals, eliminating the need for expensive, fixed-site satellite dishes. The satellite's payload was built at the Lockheed Martin Commercial Space Systems facilities in Newtown, PA., and is configured with 24 C-Band and 12 extended C-Band transponders. The A2100A provided TELKOM greater capacity than its earlier satellites, as well as a longer design and maneuver life. The selection of Lockheed Martin to manufacture the TELKOM-1 satellite was based on the company's reputation as a premier satellite producer and recognition of the benefits of the next-generation technology of the A2100A. TELKOM-1 was positioned at 108 degrees East longitude, providing coverage to all of Indonesia, and potentially to parts of Southeast Asia and northern Australia. The satellite is optimized to provide a 15-year life span, but may continue to provide service for several years beyond that. Telkom 1 has developed problems with the south solar array drive, due to an manufacturing error. The satellite was planned to be decommissioned in 2018 and to be replaced by Telkom 4. On 25 August 2017, Telkom 1 lost contact and suffered a massive debris shedding event.